The addition of Anti-lock Braking System (ABS) has added Rs 8,000 to the X-Blade's ex-showroom price. Honda will continue to sell non-ABS version of the X-Blade for Rs 79,768 (ex-showroom Delhi). 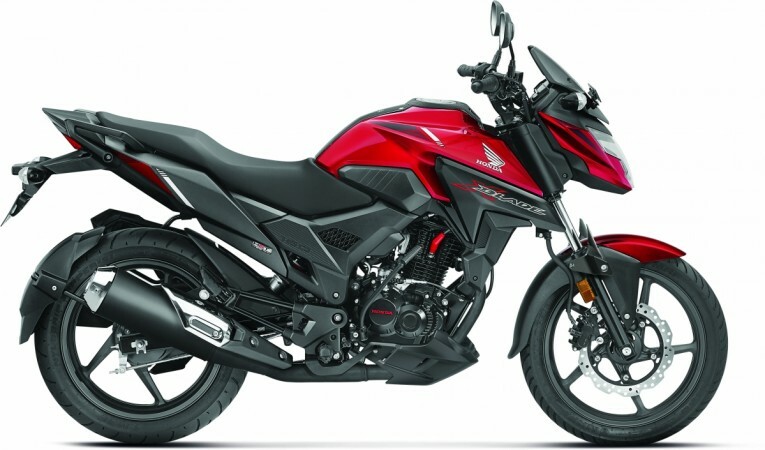 Honda Motorcycle and Scooter India have launched the Anti-lock Braking System (ABS) equipped version of the X-Blade 160cc bike at Rs 87,776 (ex-showroom Delhi). 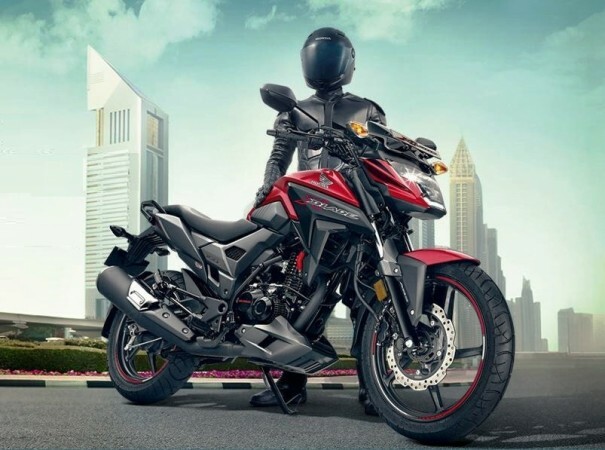 The Japanese two-wheeler manufacturer will continue to sell non-ABS version of the X-Blade at Rs 79,768 (ex-showroom Delhi). Honda X-Blade ABS version is pricier by 8,000 compared to the non-ABS. Honda will eventually discontinue to the non-ABS model when the new rule that mandates all the two-wheeler above 125cc should have ABS from April 2019. Apart from the inclusion of safety tech, Honda X-Blade has also got some nip and tuck. The 160cc stylish bike based on the CB Hornet 160R now gets under cowl, front forks cover along with wheel rim stripes as standard. Compared to Honda CB Hornet 160R, the X-Blade gets a razor-sharp design with a segment-first full-LED headlamp and position lamp. The X-Blade promises a brighter light throw than standard halogen lamps with its setup of nine LED position lamps. The youth-centric edgy design of the X-Blade further accentuated with an edgy LED tail lamp, sculpted fuel tank, sharply-designed grab rail, and a rear tire hugger fender and others. The X-Blade comes with long seat, seal chain, a hazard switch and a digital meter with a service-due indicator, a digital clock, and a gear position indicator. The motorcycle is powered by a 162.71cc engine single-cylinder engine that develops 13.93bhp of power at 8,500rpm and 13.9Nm of peak torque at 6,000rpm. The X-Blade promises faster acceleration and better load-carrying capacity. It features telescopic front forks and a mono-shock unit at the rear, while the braking power comes from a disc at the front and drum unit at the rear in addition to the now added ABS. The X-Blade also gets Honda's Combi-Braking System (CBS). 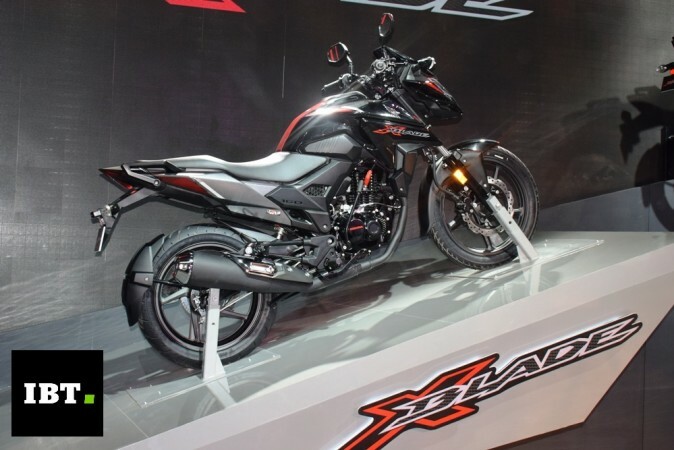 Honda has priced the X-Blade ABS on par with the rival-in-chief, Suzuki Gixxer ABS. The fellow Japanese automaker launched Gixxer ABS early this year Rs 87,871(ex-showroom Delhi). The X-Blade ABS also goes up against TVS Apache RTR 160 and Bajaj Pulsar NS160 while both are yet to get ABS option.